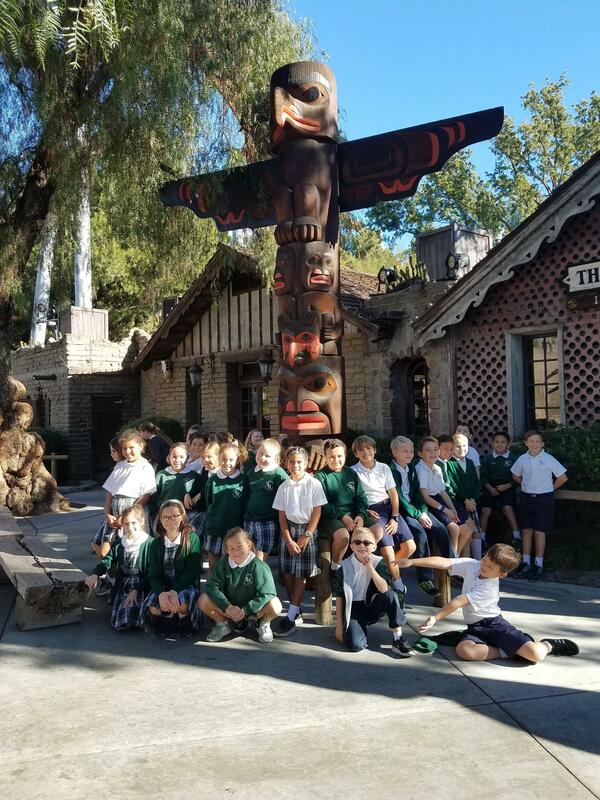 During the last week of November, the third grade went to Knott's Berry Farm to wrap up their unit on Native Americans. Students spent the day discussing the indigenous people of the west. They visited the Mystery Lodge, where an aging man shared the history of his people. They saw an American Indian from the northeast recreate a hoop dance. The students sat in a teepee, a longhouse and created beaded bracelets.